INTTRA, the largest neutral network, software and information provider at the center of the ocean shipping industry, today announced an expansion of its rapidly growing carrier network with the addition of Salam Pacific Indonesia Lines (SPIL), its first carrier in Indonesia. The addition of SPIL represents a trend by regional carriers who are joining INTTRA to gain a competitive advantage in their service regions. SPIL provides services to all Indonesian routes, with 32 offices strategically located across the Indonesian archipelago. SPIL will offer its customers a range of services through INTTRA’s network, including booking requests, shipping instructions, Track and Trace, and Ocean Schedules. INTTRA is the largest neutral network, software and information provider at the center of the ocean shipping industry. INTTRA's innovative products, combined with the scale of our network, empower our customers to trade with multiple parties and leverage ocean industry information to improve their business. Connecting over 30,000 shipping companies across 200 countries with more than 60 leading carriers and over 150 software alliance partners, INTTRA streamlines the ocean trade process. More than 800,000 container orders per week are initiated on the INTTRA platform, representing over one quarter of global ocean container trade. The roots of Salam Pacific Indonesia Lines dates back to 1970 with the establishment of PT SAMUDERA PACIFIC. The company next acquired PT SALAM SEJAHTERA in 1984 and relocated its headquarters to Surabaya, forming PT SALAM PACIFIC INDONESIA LINES (SPIL). Along with the growing need for a broader coverage area and the demand for more reliable inter-island shipments, SPIL expanded its services in 1996 beyond handling break-bulk cargo, to providing more efficient means of transport that utilizes unitized containers. 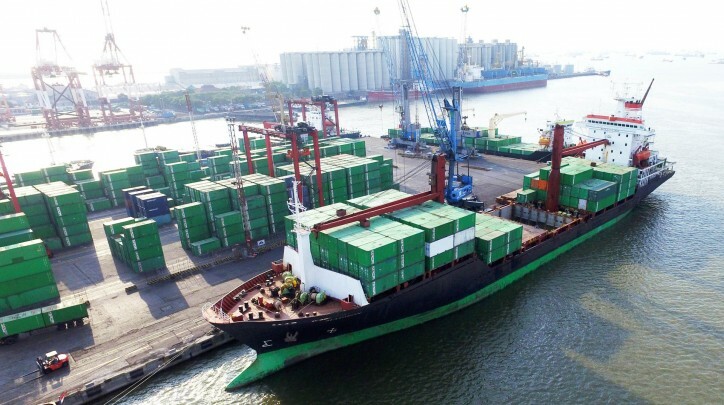 SPIL is regarded as a shipping pioneer in East Indonesia, connecting islands with 32 offices that are strategically located across the Indonesian archipelago. Supported by a team of competent professionals, SPIL continues to improve its network to provide high-quality services.